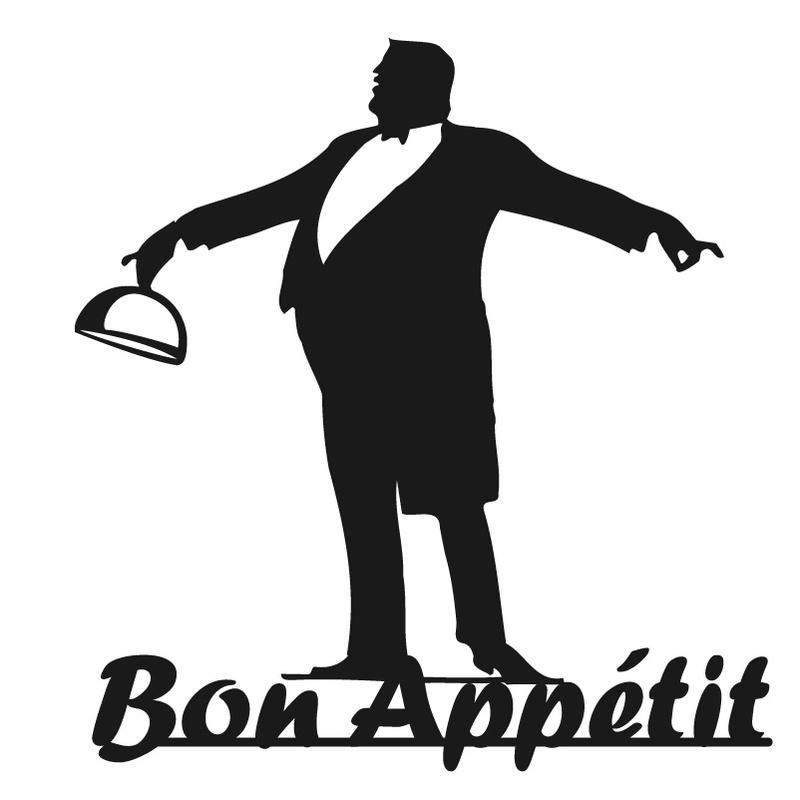 Asian Restaurants are popping up all over town, some good, some not so good. 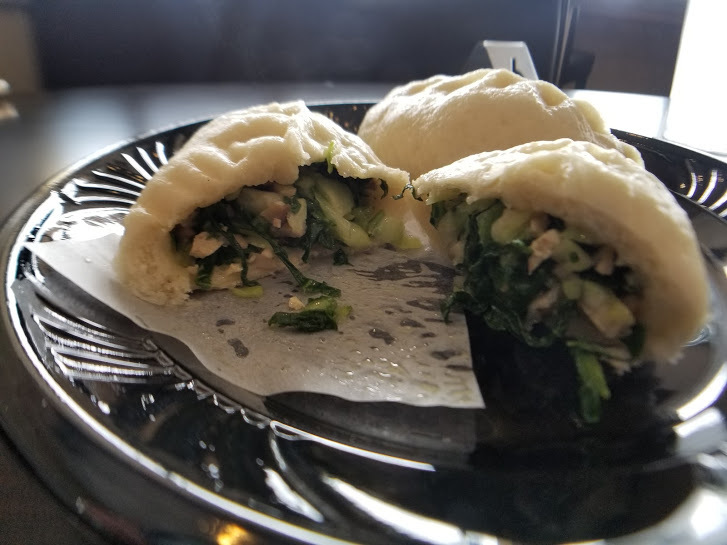 Of those, we tried this had to be one of my favorite, Seasons Dumplings. An unassuming spot in a strip mall was way more than I expected. Not only is it a restaurant, it is a bakery. All items are made from scratch daily with the freshest ingredients available. Owner Larry shared with us the process of how the loaves of bread and buns are made fresh each day, believe me when I tell you it a long, involved process. We did not sample any bakery items the day we visited that will be another review. For today lets concentrate on the food. One of the first dishes was The Braised Beef Soup, this soup can be served with or without noodles; we chose the no noodle version this time. The moment the plate was put on the table one was aware of a glorious aroma of 5 Spice, the broth rich with rainbows of small fat bubbles floating on the top form the braised meat. 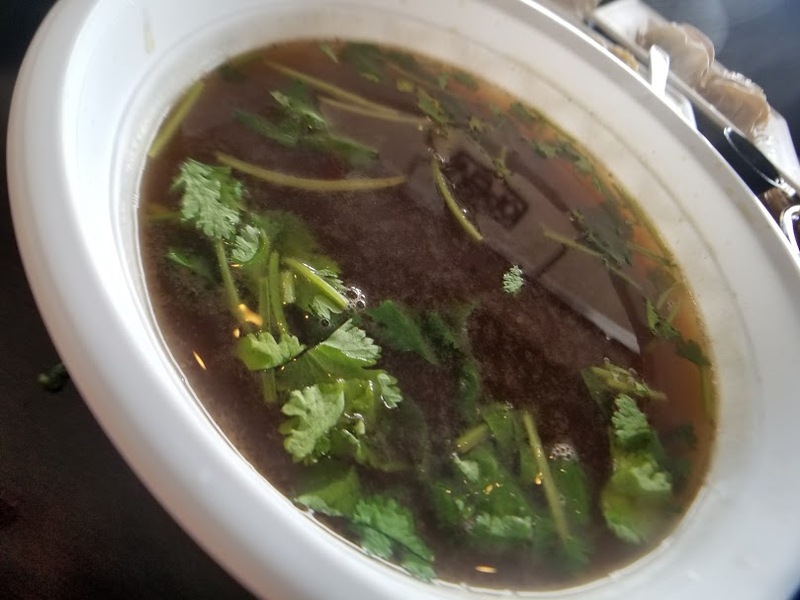 Served with a side of Asian greens similar to our cabbage this soup was like nothing I have ever tasted. We knew on our next visit we would have to include the noodles. Our next choices were the pan-fried dumplings. 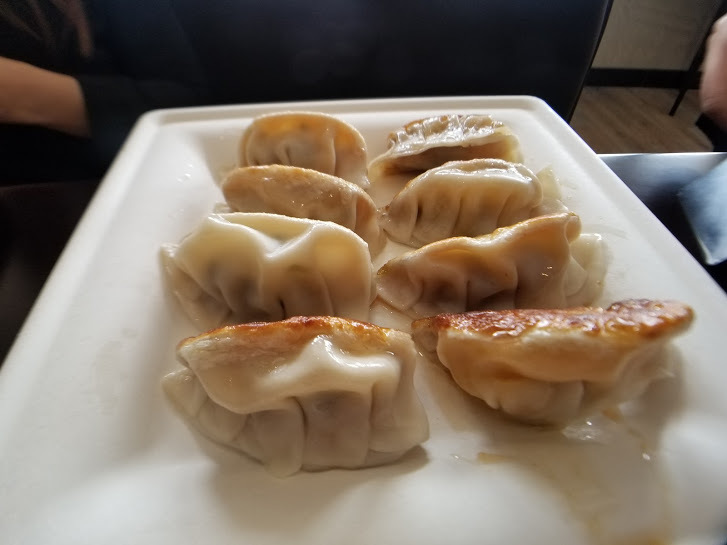 The order of eight dumplings was almost enough for a meal, based on the size and stuffing in each dumpling. Dumplings were slightly brown, with a rich pork stuffing and a soy-like dipping sauce they were so good we ordered a second helping. 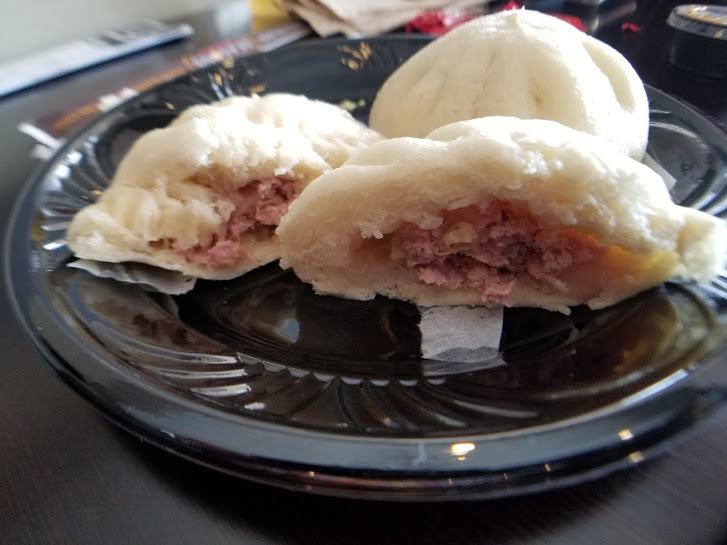 No visit to a Dim Sum restaurant would be complete without sampling the buns. We chose two flavors; the Pork Napa and the Stuffed Chive. My problem with buns, there is never enough stuffing, not true here at Seasons, these buns were chocked full of flavorful stuffing. 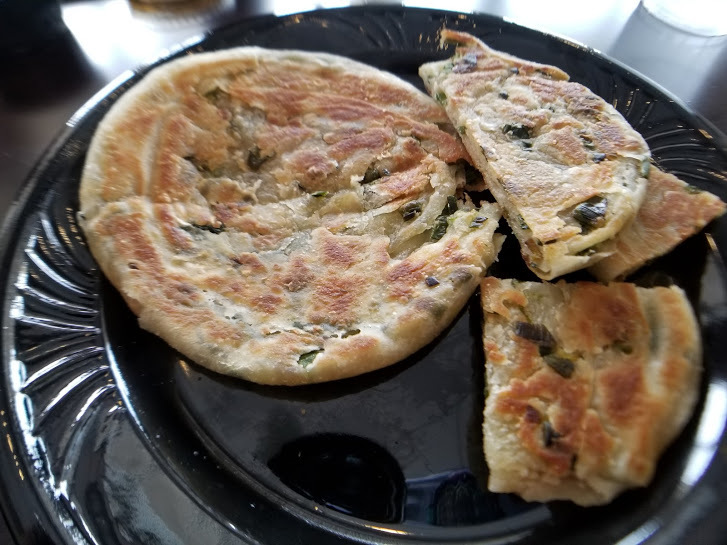 Our last selection was the Chinese Scallion Pancake, perhaps not my favorite but still a nice option on the menu. A little dry for my taste but the flavors were there for sure. This spot is bare bones, plastic utensils, Styrofoam bowl, and dishes; don’t be put off by any of that. The food is so good it matters not what vessel it is served in; I have experienced some pretty sad meals served with china and crystal. Gather the besties and go stuff your face.